In a time where war and violence is apparent in far too many places, it is important to find ways to reach both believers and seekers in non-traditional ways. When getting boots on the ground may be difficult due to political turmoil, there are other ways to get your message out to the masses. Thanks to advances in technology, churches and other religious organizations are able to provide information and support to anyone around the world via the Internet. One of the leading providers of streaming technology for religious organizations is TikiLIVE, which offers a robust solution to deliver both streaming video and audio to a large audience. In this article we will discuss how TikiLIVE can allow any organization to reach those in need regardless of geographical barriers. By partnering with a strong content delivery network such as TikiLIVE, you can reach anyone in the world with an Internet connection. Whether you are looking to grow your church in a different part of the country or the world, or you are looking to reach those in need – TikiLIVE can help. By showing God’s word to those in need whether they are believers or non-believers, you could possibly change their lives in ways they could never imagine. Many people are simply intimidated by the church. They may have had a bad experience with a certain church or religious leader in their past and have essentially vowed to never set foot in a church again. By streaming your content you can still offer an olive branch to those who are not quite ready to physically be in the confines of a church. You can show them that your church is different than what they remember and that all are welcome within your congregation whether attendance is virtual or physical. Some of the most important work of a church is the mission work performed in the community as well as in other parts of the world. By capturing your mission work on video, you can share it with congregation members or visitors online. This allows you to show the fruits of your labor to both visitors and members in the church who were not able to participate. These powerful testimonials can help to increase the amount of participation the next time you plan to go on a mission trip. These messages can also show visitors that you are a church focused on serving those in need as opposed to only focusing on the needs of the church itself. Members bound to their homes – Many churches have a small contingent of members who are sometimes referred to as “shut ins” and are not able to attend church due to physical problems or declining health. With TikiLIVE, these members can simply turn on their TV, computer, tablet or smartphone and listen to your message. This allows them to feel connected to the church even when they are confined to their homes. Church members in the military – When your military church members are stationed around the world, you can still connect with them through TikiLIVE. They may not be able to catch every Sunday’s service, but knowing that they can watch the message later through on-demand viewing of your content should give them peace of mind. Members who are out of town – Whether your members are out of town for vacation or business, with TikiLIVE they do not have to feel like they missed your service. Streaming allows them to view your sermon as if they were in their usual pew on Sunday. One of the primary goals of organized religion is to reach both members and non-members wherever they are. This means both physically and spiritually. TikiLIVE allows you to reach the masses whether they are in the building or anywhere in the world. In fact, because of TikiLIVE’s HTML5 technology, you can reach people even if they are not in front of their computer. TikiLIVE offers full support for TV viewing as well as smartphones and tablets. This means that you can now truly reach anyone wherever they are in body and in spirit. When most churches think of video streaming, they only think of streaming their normal church services. This is only the tip of the iceberg in terms of the opportunities that a church can see from streaming. Think about streaming Bible Studies, Vacation Bible School, Sunday school classes and so much more. Any event that is happening within the church can be streamed to those who are not able to attend. This can really increase the exposure that your church has to its own congregation members as well as to others within the community and beyond. As a church it is your desire to be inclusive of as many people as possible. This can be difficult when you are bound to the confines of the four walls of a sanctuary. Using streaming technology can allow you to go beyond the walls of your church and reach those who may be hiding in the shadows. Every religion is focused on reaching the unreachable and helping the needy. 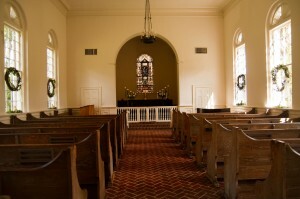 With TikiLIVE, you can begin to reach some of those people who may not feel comfortable stepping foot inside a church. For more information on how your church can reach those in need through streaming services, give our office a call today at 305-289-4557.